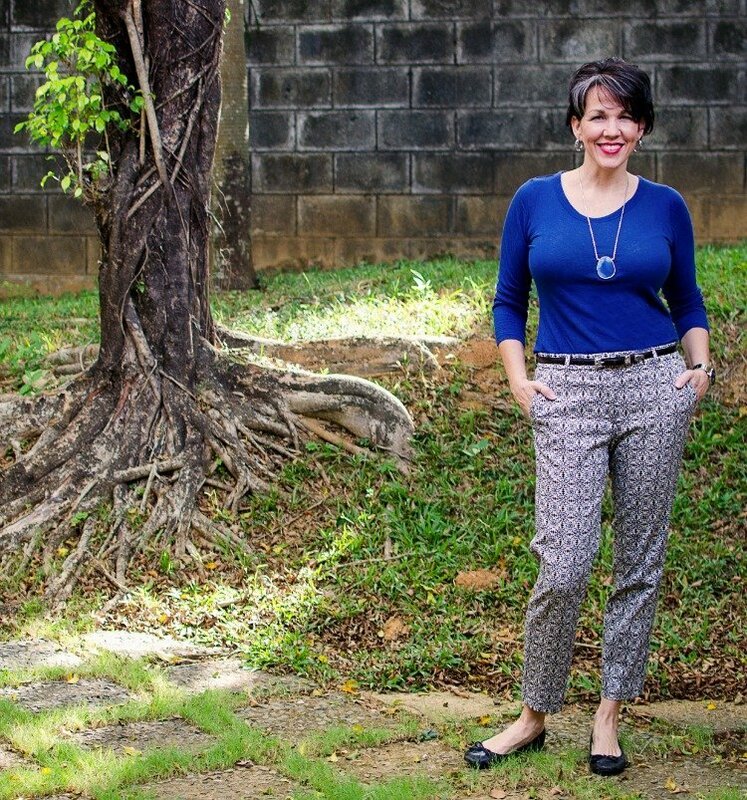 When it comes to midlife fashion, we women must have clothing that fits and flatters. Long gone are the days when we could hold on tight and ride the waves of passing trends. Not to say that the midlife woman can’t be trendy, rather she picks and chooses styles she likes and what looks good on her body…period. 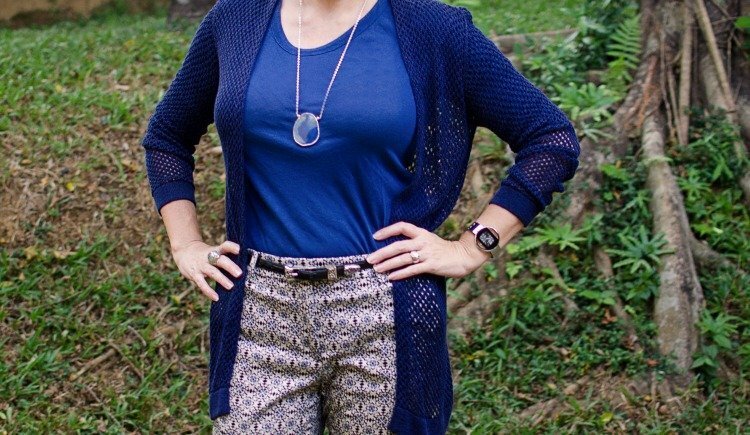 Tone on tone clothing is a popular choice because a singular color palette helps to elongate the body and draws the eye up and down. This technique is especially effective when wearing a colorful or detailed layer over a monochromatic base. I utilized this technique in one of my outfits from Essential 6 Piece Starter Capsule Wardrobe. So, we know why this style technique works…it makes us look thinner; enough said, but fashion should serve a higher function than mere camouflage. 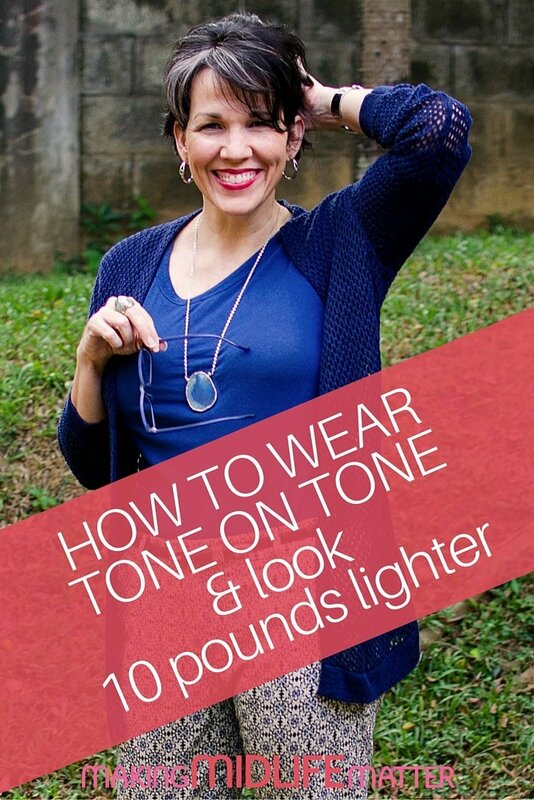 Here are some tips to add pizazz to your tone on tone outfits. 1. Focus on one color grouping, rather than an exact color match on all pieces. I started with the patterned pants and then built from there. 2. Consider patterns and details. 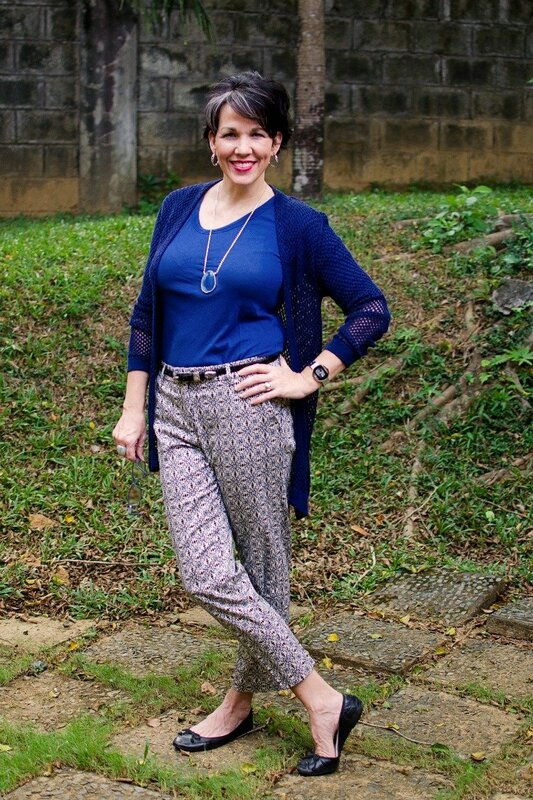 This outfit has visual interest; from the patterned pants to the netted texture of the sweater. 3. Add differing lengths and angles. The long sweater over the tucked-in top keeps things interesting. 4. Carry the color idea through to your accessories. Consider jewelry and accessories as the icing on your perfectly baked cake. 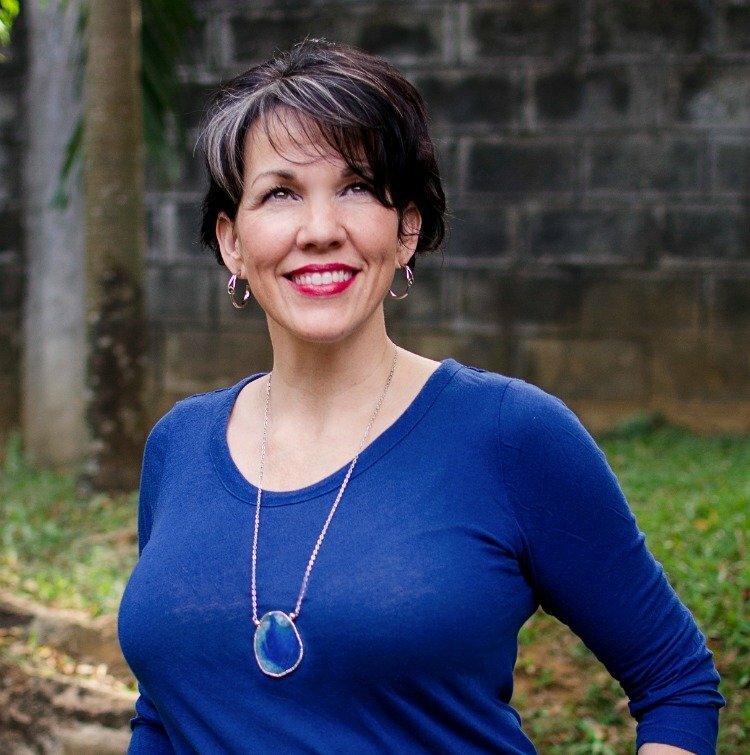 Notice how the deliberate color coordination of necklace and top adds polish and conveys an air of intentionality to the outfit. 5. Dare to break from the black uniform of midlife. It’s OK to love black…I do…but, you shouldn’t wear it just because you are too afraid to try something different. Try some of the other fantastic neutrals; like chocolate brown, navy blue or khaki.